Get rewarded for smart travel today! 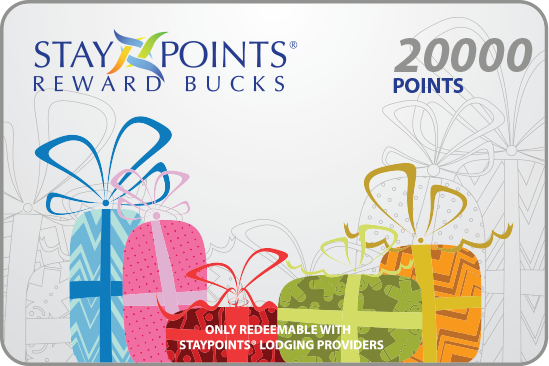 Join StayPoints today and get connected with independently owned quality affiliated lodging providers ready to reward you for your stay! StayPoints affiliated lodging providers offer furnished apartments, condos, houses, vacation rentals, and bed & breakfasts to meet your every travel need...and get rewarded for your stay! Redeem your StayPoints for millions of merchandise items, furnished partments, vacation rentals, car rentals, airline tickets, and tickets to worldwide events! You've just found the best of the best! Why not share it with your family, friends, and co-workers? Many of our affiliated providers will award you points for referrals.